​Craving a little extra attention on the yoga mat ? 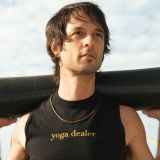 Try Yogaloft Privates...your practice will thank you ! Tell us what you want to work and we will match you with the appropriate teacher !